An elegant and understated piece fit for work or even a night out for dinner. 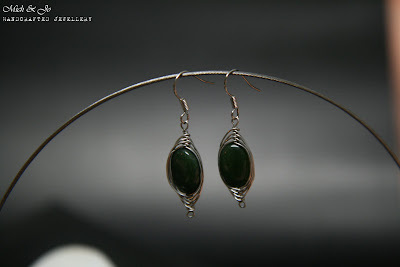 Aventurine stones with herringbone wire wrap. All findings are rhodium.